The conference "Digital Transformation of the Public Sector: Making the Right Decisions to Serve the Needs of Networked Societies" was held on 21 and 22 September in Lisbon, an event that included one of the interactive digital billboards of PARTTEAM & OEMKIOSKS, an established contact through one of our business partners - EURO M.
This year, the OECD (Organization for Economic Co-operation and Development) conference brought government representatives, technology experts, members of the private sector, civil society and the academic world to the Belém Cultural Center. 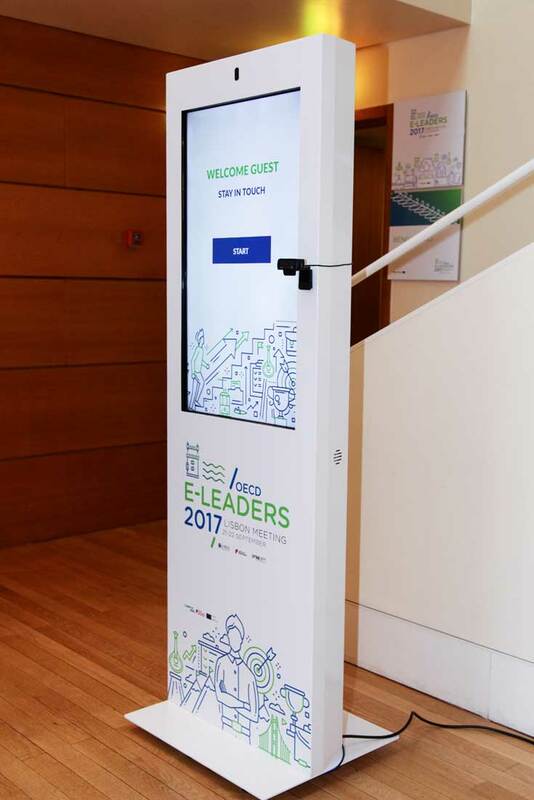 For this conference, the 40" PLASMV digital billboard with webcam was installed. The main purpose was to convey information and at the same time function as an access control / check-in kiosk for visitors. It is important in this type of conference, to attract the attention of the visitors and to increase the involvement of the same ones. 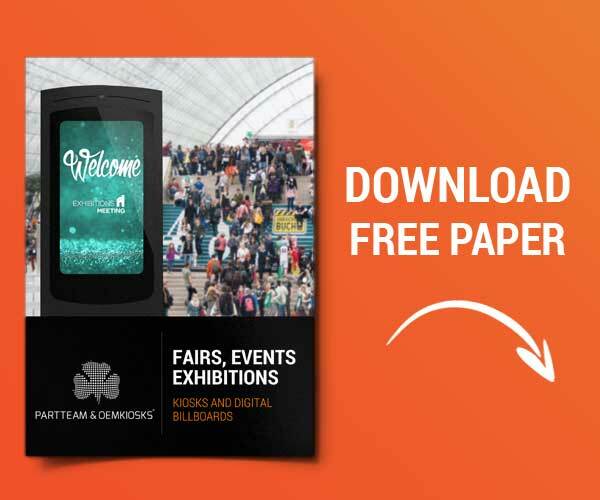 PARTTEAM & OEMKIOSKS offers a number of technology solutions for events and exhibitions and helps event planners, conferences and companies discover the ideal solution to make their customers' experience more enjoyable and interactive.